05-032 Mendicant Bias was a Metarch-class Ancilla. He was the most advanced Forerunner AI at the time of his creation, and was charged with organizing Forerunner defense against the Flood before his defection to theGravemind, who ultimately caused him to become rampant, and turn against his creators. Created in 100,043 BCE, by the Ur-Didact and the Master Builder, Mendicant Bias’ purpose was the control of all Forerunner defenses, including the fabled Halos, but only under dire emergencies. 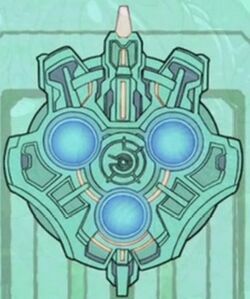 The Master Builder, without authorization of the Ecumene Council, tasked Mendicant Bias with the interrogation of The Captive, after its release on Charum Hakkor following the Halo’s test firing, in place of the Lifeworkers due to the Master Builder’s distrust for them. The period of this questioning was forty-three years, where Mendicant Bias attempted to find weakness.Mendicant Bias was listed missing by the Master Builder before returning to overlook the second testing of the halo on the San’Shyuum quarantine system. Mendicant Bias sent the logs of his interrogation to his Forerunner masters, who apparently never received the transmissions. Eventually, The Captive persuaded Mendicant Bias to abandon the Forerunners and defect to the Flood cause, convincing him that the Forerunners were so gluttonous and prideful as to deny the next step of evolution: the Flood. The Captive insinuated that by clinging to the legend of the Mantle, the Forerunners had doomed the galaxy to eternal stagnation; the only way for the galaxy to progress was for superior beings to “restart” it. These superior beings, unsurprisingly, took the form of Compound Minds such as Gravemind and Mendicant Bias himself. Although the 43-year long conversation logs between Mendicant Bias and The Captive were sent back to the Forerunners, they believed that Mendicant would automatically fulfill its objective and destroy The Flood, and so did not intervene. Convinced by The Captive’s arguments, Mendicant Bias intentionally became rampant, developed a hatred for his creators and actively worked toward their destruction, starting with using five of the original twelve Halos to attack the Forerunner capital. The remaining seven returned to the Ark along with Bornstellar Makes Eternal Lasting, the Councilor Splendid Dust of Ancient Suns, and the Warrior Servant Glory of a Far Dawn. The now-rampant Mendicant Bias defects to the Flood. The now rampant Mendicant then attacked with a fleet of over five million ships and completely obliterated theMaginot Sphere, and forced the Forerunners to accelerate work on the Halo Array. In order to give them time to complete the Halos’ work, the Forerunners created another AI, Offensive Bias, to slow Mendicant Bias’ advance. Offensive Bias lacked Mendicant’s creativity, and possibly his free will, but was more methodically lethal. His only purpose was to prevent Mendicant Bias from accessing Installation 00, and buying time to activate the Halo Array. It seems that Mendicant Bias was unable to disable the Halos directly, perhaps not knowing their locations, and so the only chance he had to stop the coming cataclysm was to secure the Ark and stop the firing sequence from there. While he did not know the location of the Ark, he was aware of a method to reach it via the portals and Key Ships. The Forerunners subsequently destroyed or disabled most of the keyships to stall Mendicant’s assault. However, Mendicant Bias managed to locate (or thought he had located) one of the remaining keyships; this led to the final, titanic naval battle with Offensive Bias. Mendicant’s fatal mistake was that he had come to hold the Forerunners in abject contempt — his rampancy clouded his perceptions, such that he failed to anticipate the possibility of facing another AI. The Halos were then fired and ultimately, Mendicant Bias was outsmarted and defeated by Offensive Bias who used the now crewless ships as explosive triggers. Icons used to identify Mendicant Bias in Terminal communications. — Mendicant Bias revealing the Covenant‘s error. — Mendicant Bias declaring his penance. Offensive Bias intended to bring the vanquished Mendicant Bias to Installation 00 for study. In order to prevent Mendicant from subverting or harming him, Offensive Bias broke the Compound Mind of Mendicant Bias into its component sections and scattered them throughout the few remaining ships of his fleet for transport. Only a part of Mendicant made it to the Ark. One shard of Mendicant Bias’ personality construct array escaped the Ark onto a Forerunner Dreadnought. The Dreadnought crashed landed on Janjur Qom as Mendicant tried to get to humanity. The ship was later found by the Covenant and installed in High Charity. Mendicant Bias’ presence was known to the Covenant and it was regarded as an Oracle. In 2525, the Mendicant Bias fragment on the Forerunner Dreadnought in High Charity,was “consulted”, or rather interrogated, by the Minister of Fortitudeand the Vice Minister of Tranquility concerning the large number of Forerunner artifacts or “Holy Relics” on Harvest. In a shocking revelation Mendicant Bias revealed that the “Holy Relics” were actually humans and that the Covenant faith was based on an age-old mistranslation. The glyph on the Luminary was mistaken as “reclamation” when it truly meant “Reclaimer“. This had the potential to completely undermine the Covenant’s unity and faith. A political revolution ensued to prevent this and, ultimately, led to the Human-Covenant war. The AI seems to have concluded that its ancient actions against the Forerunner had been mistaken and announced to its Covenant hosts its intention to bring the “reclaimers” to the Ark. To this end it attempted to leave High Charity by launching the dreadnought, an act that would have seriously damagedHigh Charity. Mendicant Bias was foiled only by chance; it was disconnected by some Lekgolo worms wriggling inside the ship. The AI was more formally disconnected afterward to prevent it from commandeering the ship again. During the Battle of High Charity in October 2552, the UNSC AI Cortana fought Mendicant Bias to delay the launching of the dreadnought, allowingSPARTAN John-117 to board it and return to Earth. In the proceeding events Mendicant Bias was carried through the Voi portal to Installation 00, where the missing shard was finally reunited with the part that resided in the Ark’s systems. On the Ark, it attempted to communicate with John-117 through Terminals, claiming it sought atonement by helping the Spartan. Exactly what form that assistance took is uncertain. This reclaimed sanity seems to suggest that some AIs might be sophisticated enough to come back from rampancy. It may also have reached metastability, in which an AI can be said to have a conscience equal to that of a sentient being. 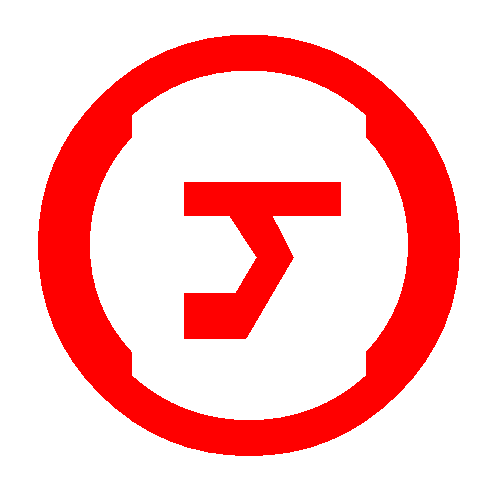 An icon representing Mendicant Bias. Mendicant Bias has been associated with the whispering voice heard distinctly in the Mausoleum Suite on the Halo 2 Original Soundtrack. There are obvious similarities between the character expressed in the whispers and Mendicant Bias — both are imprisoned by memories of their past crimes, both are seeking forgiveness, and both retain a sense of fatalist philosophy. The meaning of Mendicant Bias’ name is revealed in Halo: Cryptum as “Beggar after Knowledge“, during the conversation between Mendicant and Bornstellar (whose inner Didact recognized the Contender Class AI as his own). Fans have speculated Mendicant Bias can also be heard as a whisper during the Terminals’ shift, or the script change from the original terminal messages to the later messages after the originals become red. If the audio of the terminals’ shifting is played backwards, a voice can be heard, possibly Mendicant Bias’. The actions of Mendicant Bias are similar to those of the Artificial intelligence Durandal from the Marathon series. Mendicant Bias is possibly the “brother” that AdjutantReflex was talking about and was later absorbed by, there is evidence of this in Mendicant Bias’ picture: the symbol in the left hand side is similar to AdjutantReflex’s third Bungie.net avatar. If you look very closely at the picture at the top of the page, you can see the Forerunner base digit. He was known to Gamelpar as “Green Eye”.